OFFICE VALUE, INC. has been serving businesses since 1982. Starting out as an office machine sales & service dealer, it has become a dynamic reseller of a diverse offering of business products & services. 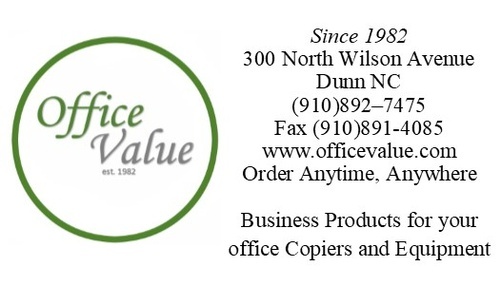 Office Value's offering includes: Office Supplies, Paper, Janitorial, Computer Supplies, Furniture, and a wide variety of copiers. As members of the Independent Stationers Group (is.group) and Business Products Group International (BPGI), OVI shares the buying power of hundreds of dealers world wide.